Here in Ashley Green, the Community Association and the team from St John's combine to offer Neighbourhood services to people who may need assistance of some kind. Maybe it is a way to get away from four walls and get out now and then and just meet people for a chat, a cuppa and a light lunch. 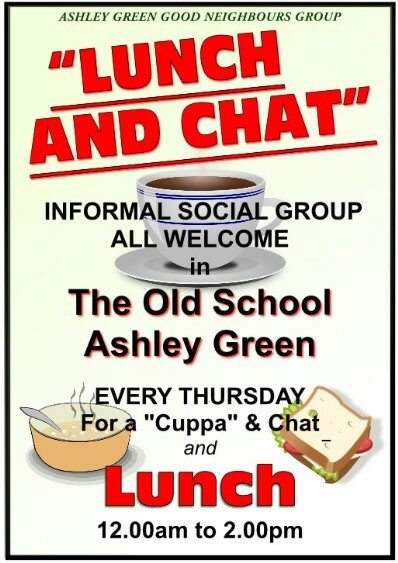 See details of the "LUNCH AND CHAT" below. For more information get in touch via our Contacts page.